The Cobra BiO Cell driver succeeds the Cobra AMP Cell driver and is a refinement of the ideas introduced in the previous model. The Bio Cell features a similar adjustable hosel, but now the MyFly8 system has an extra 2 settings bringing the total lofts options up to, you guessed it, eight. You can now go from 9° to 12° in 5 stages and there are also 3 draw settings at 9.5°, 10.5° and 11.5°. These give a wide range of choices in a very easy to understand manner and when we played around with them the flight did change significantly, so the flexibility is good. 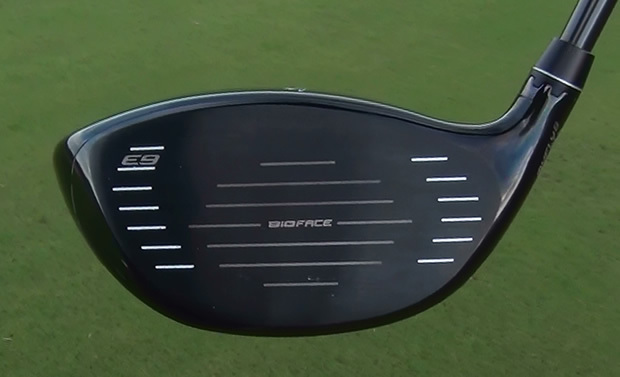 The Smart Pad on the sole that keeps the face square at address regardless of the loft is still there and is a clever solution to the problem of face angle and lie changing as the loft is adjusted. The Smart Pad sits towards the front half of the sole just behind the leading edge and is the main balance point. It does offer a slightly different feeling at address compared to other drivers at address as there is this single point of balance. Also returning is Cobra's E9 face that aims to offer forgiveness by maintaining MOI right across the face from left to right and top to bottom. As a result the face is quite tall and wide relative to other models. Certainly on mishits it did the job with the ball going a respectable distance even when you know the strike was less than perfect. As usual with Cobra there is a wide choice of colours, with the four from the AMP Cell of silver, blue, orange and red being joined by an all black version. Whichever colour you choose the face is a dark colour and some may find the black face/black head combo a little hard to pick up the face with, but that will be down to personal preference. The crowns are nice and clean with the Cobra logo as a line up point and a couple of lines around the back of the crown that give the BiO Cell a classy look. The Cell structure has evolved with a new lattice structure in the crown enabling Cobra to move weight from there to the sole of the club to make the Centre of Gravity (CG) lower and further back. You can just see this on the back half of the crown in the right light as it is quite subtle underneath the paint job, but we like the look of it. As is common with distance drivers these days, the BiO Cell comes with a longer 45.75 inch Project X shaft as standard. Whilst this will increase clubhead speed it can make it a little unwieldy to swing if you are not used to it. The Project X shaft however more than makes up for it as at 62 grams it is light, very stable and really makes the club. 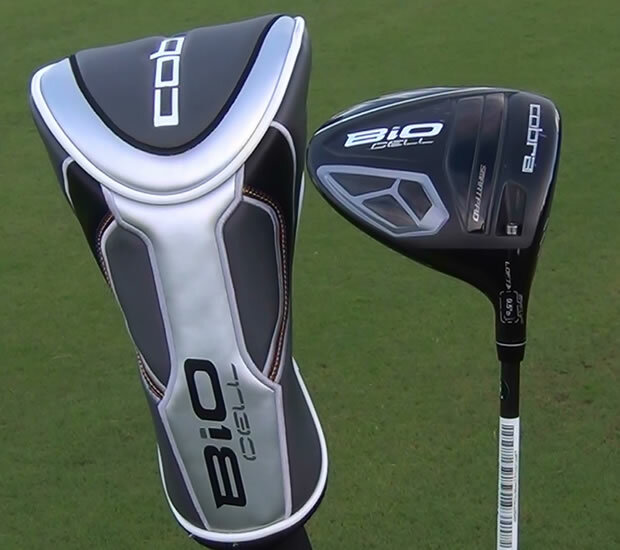 The flight from the Cobra BiO Cell driver was mid to high in general thanks to that low and deep CG, so this will suit everyone from single figure handicap golfers upwards. The sound was quite sharp and reasonably loud in a pleasing way and reflected the lightness of the club well. 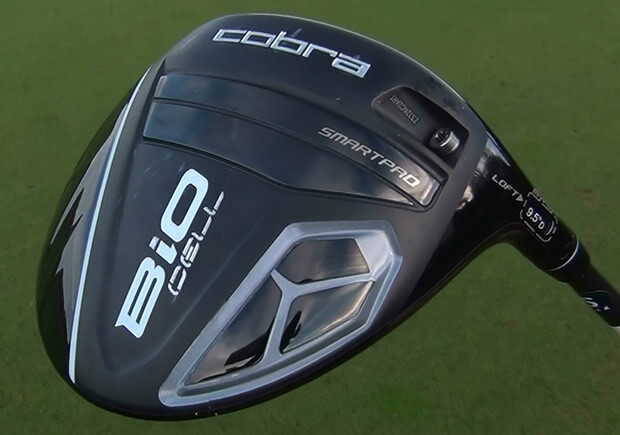 If it is too high or loud for you then the Cobra BiO Cell + Driver will probably be more to your taste. Compared to the previous model the changes are more evolution than revolution, but like most new designs the second generation is always better than the first and so it is with the BiO Cell. The head feels lighter, it sounds better, the adjustable options offer more flexibility and it looks a bit more classy. What's not to like? I've had my blue Bio Cell for a while! Best driver I've ever had. Long, forgiving, workable, and LONG! Every year I try out all the new drivers, this is still the best by far. Changed from the AMP Cell driver to the BiO Cell driver. It's fantastic, the looks are better, the weight of the head when holding and teeing off feels lighter and more stable, my drives are going a little bit further than the AMP Cell, but the BiO Cell is a lot more forgiving. Great driver Cobra. Got mine by accident yesterday from someone that found the club and already had a set of cobra woods. He saw me struggling with my Cleveland and asked me if i wanted to try it. From the first swing on the tee box on number 6 for the rest of the round I didn't hit another bad drive. Unbelievable driver!. Say goodbye to my Cleveland - I'm in love! Thank you Cobra for building such a forgiving and long hitting club. Just bought one today. A great improvement over my Top Flite. I'm a high handicapper but I'm improving. I was befuddled by my erratic drives. No more! A little bit further but certainly straighter a larger percent of the time. Fowler's Cobra driver has 8 different loft settings in 5 different colours.